Registered codes in the memory of the engine control unit will be erased and will not appear until a fault appears. Accelerator pedal sensor defective or wiring between engine control unit and pedal damaged. If you do not fully press the accelerator pedal, a sharp increase in engine speed may occur. Accelerator pedal sensor defective or wiring between engine control unit and pedal damaged. The accelerator pedal does not respond to pressing. Damaged wiring, faulty instrument cluster, faulty tachograph. Cruise control does not work while the DTC is active. Relay power supply control unit engine. Faulty relay or damaged wiring. Faulty engine control unit. Cruise control does not work. Software error in the engine control unit. The engine control unit is not programmed or programmed with errors. The engine will not start. 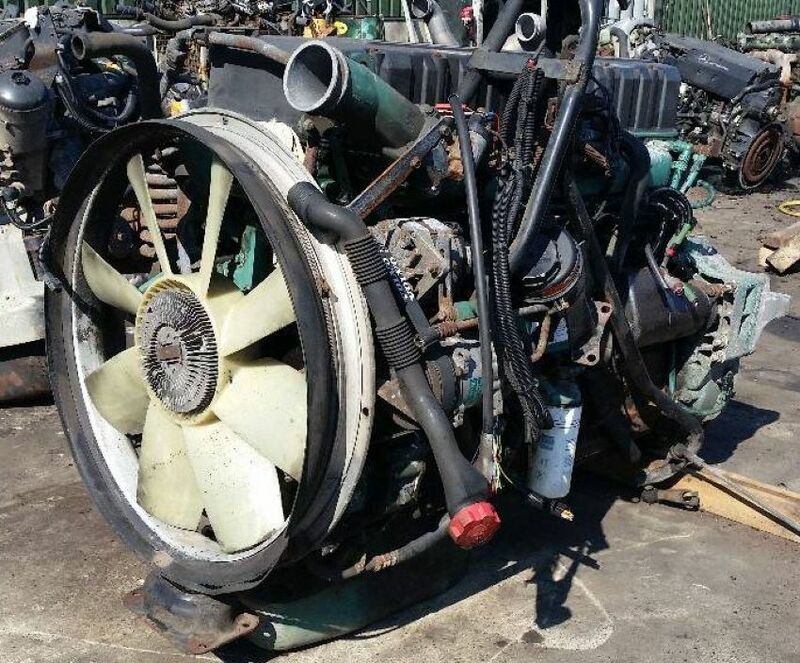 The sensor is faulty, wiring is damaged, the water pump is working with incomplete efficiency, the radiator cells are clogged or the thermostat is faulty. Sensor is defective, wiring is damaged, cells of intercooler ( intercooler ) are clogged , mechanical failure of the engine. At a temperature of forced air above 91 ° C, the lamp ” Check Engine “lights steadily, and the engine power will be reduced. In the case of a fault in the wiring harness or faulty lamp” Check Engine “will blink. Sensor defective, wiring damaged, turbocharger defective, intercooler damaged or clogged, mechanical engine failure. Reduced engine power, increased exhaust emissions. The camshaft speed sensor is faulty, wiring is damaged, and the synchronization between the signals from the camshaft speed sensor and the crankshaft rotation sensor is broken. In case of a synchronization failure, codes 26 and 27 will be active at the same time. The engine starts a long time or may not start the first time. The crankshaft speed sensor is faulty, the wiring is damaged, the timing between the signals from the camshaft speed sensor and the crankshaft rotation sensor is broken. In case of a synchronization failure, codes 26 and 27 will be active at the same time. The engine starts a long time or may not start the first time. The injector pump is faulty, the wiring between the engine control unit and the injector pump is damaged, and the motor has a mechanical fault. The engine does not work smoothly, it is possible to increase the opacity of the exhaust gases. The injector pump is faulty, the wiring between the engine control unit and the injector pump is damaged, and the motor has a mechanical fault . The engine does not work smoothly, it is possible to increase the opacity of the exhaust gases. Brake check failed or brake pedal sensor defective. Cruise control and the “RESUME” function do not work. An active signal on the lamps, warning about braking. The signal to the lamp interrupts the operation of the cruise control and prevents the installation of a constant engine speed for power take-off. Active signal from the brake pedal sensor. The signal from the sensor interrupts the operation of the cruise control and prevents the installation of a constant engine speed for power take-off. The accelerator pedal idle switch is active (the accelerator pedal is fully depressed). The contact of the clutch pedal is open (the clutch pedal is partially or fully depressed). The signal from the clutch pedal interrupts the operation of the cruise control and turns off the manual constant speed of the engine. The signal from the parking brake is active. The signal is a condition of the possibility of manually setting a constant engine speed for power take-off. The safety signal is active. When the safety signal is active, the engine does not react, the engine is forced to idle at a speed of 0 km / h or the engine is turned off (depending on the safety modes programmed in the engine control unit). The signal from the cruise control switch is a prerequisite for cruise control and the ability to manually set a constant engine speed for power take-off. The active signal from the “ON” and “SET” buttons on the cruise control switch. When the vehicle is moving , cruise control is activated. When the vehicle is stopped, the ability to manually set a constant engine speed for power take-off is activated . Active signal from the “ON” and “RESUME” buttons on the cruise control switch. During movement the speed set earlier is resumed. When the car is stopped, the engine speed increases or decreases to approximately 1000 rpm. The engine brake (VEB) is not functioning. Communication with the Geartronic gearbox control unit . If no signal is present Geartronic is not functioning. Active signal VSP (engine control unit is in programming mode).